We all have the capability to master any skill we choose, but not all of us decide to act upon it. We run into many obstacles such as fear, hesitation, or frustration. However, those who can bypass their obstacles will find a way to succeed. To some truckers, driving is a job. To others, it is the opportunity to see the nation. 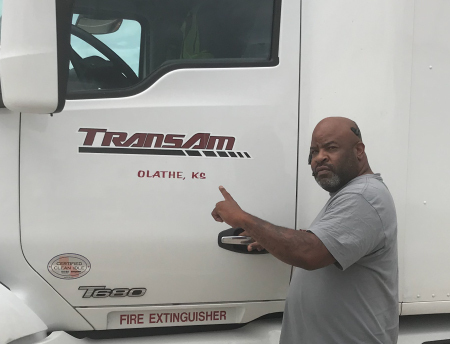 For Ivory Maxwell, trucking is his craft and everyday he works at perfecting that. Ivory Maxwell’s passion for perfecting his craft is admirable. He works hard and truly enjoys the success that his hard work brings him. He drives with a reason and a purpose: a noble purpose. We appreciate having Ivory as part of our growing Texas regional fleet and are proud to have him as part of the TransAm family. Thank you Ivory, for everything you do!